Make a donation directly to the Far Rockaway Youth Sports Initiative [FRYSI]. Make a donation towards the construction or revitalization of a basketball court in an underserved community. Give the gift of a sports camp experience to a child who would otherwise miss out. 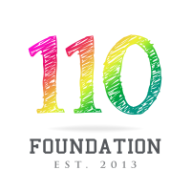 ​The 110 Foundation is a 501(c)3 organization. Your contribution may be tax-deductible.